Universal Studios Japan (USJ) first opened in 2001 and has since welcomed guests for 17 years of Japan’s ongoing Heisei period which is set to end in April this year when Emperor Akihito abdicates the Chrysanthemum Throne. To celebrate this time and the last of the Heisei period students, USJ is set to hold its Universal Student Festival from February 1 to March 31. The park already announced its Universal Student Pass campaign last year which went on sale from January 15. When entering the park as a student with a group of 2 or more people in 2019, this special one-day pass allows free entry when entering with the same group in 2020. 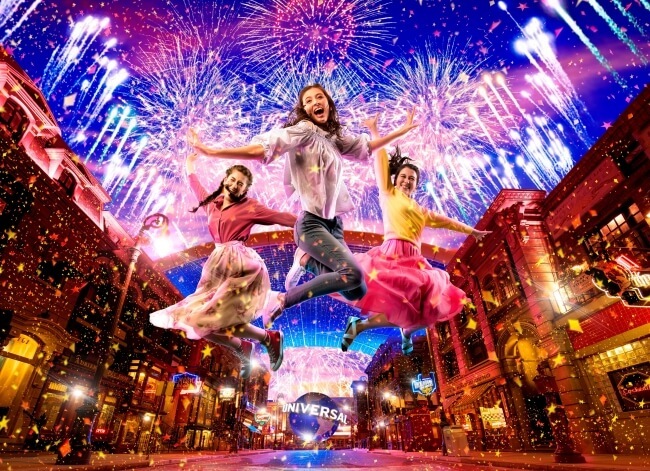 The next three campaigns students can look forward to are the Universal Dream Campaign, Park Night Rental Campaign and Adult Park Experience Campaign. Enter 2 of the campaigns with a certain hashtag post! The Universal Dream Campaign is being held right now and will run until February 15. To enter, students must post the hashtag #USJ during this time frame on their social media along with a message stating what they’ve always wanted to do or experience at the park. Lucky winners will be selected and their wishes will come true will the full backing of the park. For example, if you want the Minions, Snoopy and other characters to all come together just for you for a photo, or if you want to have Harry Potter World all to yourself and your friends. The park want to hear students’ boundless dreams to have a fitting last spring break of the Heisei period. The Adult Park Experience Campaign follows the same hashtag rules as the Dream Campaign. To enter, students must post the hashtag #USJ between February 1, 2019 and March 31, 2019. The more people that enter the more people can win and the prizes will get bigger and better. This includes a free Royal Studio Pass (normally priced at ¥25,900) which allows guests to go into an attraction as many times as they want with shorter waiting periods, merchandise, and more. Winners are scheduled to be announced at the end of April. The Park Night Rental Campaign runs from February 25, 2019 to March 1, 2019 and will take place one hour after the park closes. All students can arrive at the park with their student IDs and get in for a special student-only USJ experience. If you’re a student in Japan then take advantage of all the benefits in this super rare occasion.